Posted on Wednesday, June 29th, 2016 at 12:01 am. This edition of Wordless Wednesday blog hop is dedicated to pet safety. The big Fourth of July weekend is upon us, but for many pets, this is a time of fear and dread. Knowing how to keep your pet safe during this time of loud noises/fireworks is crucial for pet parents. Loud noises like fireworks are one of the top reasons pets go missing, so secure your pet in an escape-proof place. 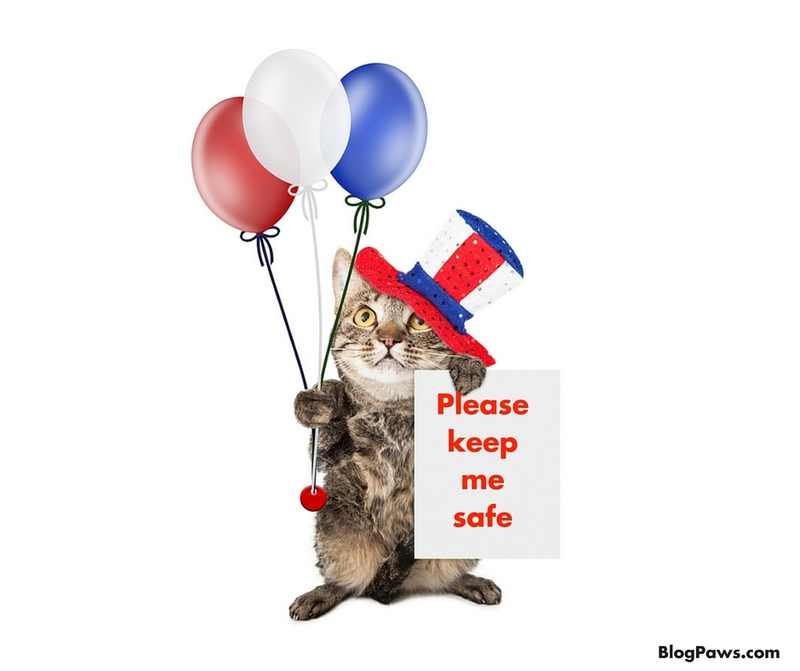 Check out these top 10 safety tips for pets from petMD for the Fourth of July holiday. Remember, this is a time when pets go missing in rampant numbers. They hear sounds and they bolt. Keep windows and doors securely closed. Panicked pets may even crash through windows in fear. While you are here, take some time to visit some of the blogs in the hop, learn, make connections, and grow! Put the “social” in social media and have fun by getting to know the bloggers below. Be safe this holiday and take care of those pets.